Call center outsourcing companies offer businesses in Scottsdale, Arizona and beyond, many benefits. 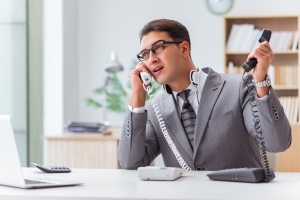 After all, call centers play an essential role in helping grow your business. Call centers are the heartbeat of your customer service and can play a significant role in keeping, or losing, valued customers. But, managing and staffing call centers can be very time consuming, especially for smaller operations. That’s why many businesses turn to call center outsourcing companies to staff their call center needs. But, how can you be sure your customers are receiving quality customer service and the representatives handling your calls are performing at their best level? That’s where quality assurance comes in. Sage Advantage offers quality assurance tools and services that can help you monitor the service your customers are receiving when they call in. Sage Advantage, based in the Scottsdale, Arizona area, works with you to create a custom plan that will help ensure your representatives are offering high quality customer service while saving you time and money. We essentially become an extension of your quality assurance team so you can monitor your agent’s performance without your managers having to sacrifice their short supply of time. While call center outsourcing companies handle the staffing of your call center, we handle the quality analysis. Sage Advantage offers a wide variety of tools and services to help you achieve your goals. Call monitoring can help identify issues so quick action can be taken to correct it, while our coaching services help give managers the tools they need to help agents improve their performance. Gain valuable insight into your customer base with our survey product. We can reach out to your customers in a variety of ways to get feedback on how they feel their customer service experience was, helping you lock down areas to improve as well as areas you excel in. Our SAAS software also offers a variety of benefits. By keeping everything in one place and on one system, managers and supervisors won’t need to hunt down reports or information. Plus, we’ve designed our system to be easy to use while also able to store a large amount of data. Scottsdale, Arizona based company Sage Advantage offers a wide variety of quality assurance tools and services. If you use call center outsourcing companies to staff your call center, consider using Sage Advantage to help monitor the quality of customer service they provide. Check out Evaluate Quality, founded by Sage, and their online offerings today. See how we can help you achieve your goals and what products may work for you by contacting us today.